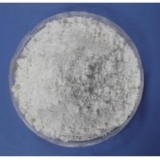 China Anti-scorching Agent PVI(CTP) Suppliers, China Anti-scorching Agent PVI(CTP) Manufacturers. Prevulcanisation inhabitor. Provide predictable scorch control in most sulphur valcanisation; Improved cost performance through marginal stock recovery, single- stage mixing, higher processing and/or curing temperatures;activity is linear and higher than most retarders; may cause bloom above 0.5 phr. It is the anti-scorching agent for both natural and synthetic rubber. Uses: It is the anti-scorching agent for both natural and synthetic rubber.